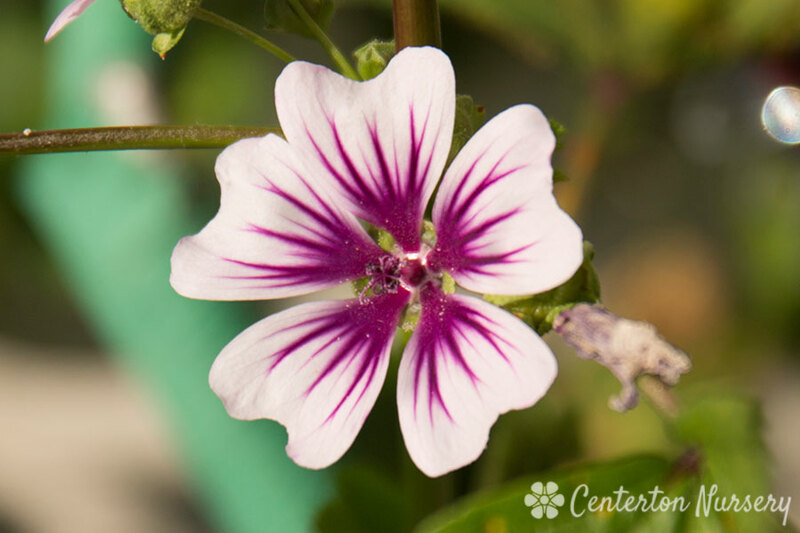 Hollyhock-relative bearing flower spikes of bright-pink with deep-burgundy stripes on petals. Spring/Summer Care: Provide staking/support in rich soils to prevent flopping. Autumn/Winter Care: Remove all dead foliage anytime during winter.